I have always admired writers and the imagination they must have to create works of fiction. It was never something I thought I could do. I was lucky enough to have a lot of free time in my old job as an Assistive Technology Tutor and I just thought why not try it? So I started to write experiences and memories that I had and the more I wrote, the more I felt this need to write more. Before I knew it I had written nearly 10,000 words. Instead of writing more, I sat down and thought about what message I wanted to send through my writing. I wanted to write something that showed that it is important to let yourself be happy, even when you’ve hit rock bottom. Both my characters lose everything and they can let their experiences isolate them or they can take the chance and be happy together. That became the essence of my book. I wrote a list of what I like in books that I read. One of the things I love, is seeing experiences through two people’s eyes and seeing how they interpret things differently. I especially love this when a romance is developing. I’m one of those people that I always want to know what other people are thinking and so that was when the second perspective appeared in my book. I didn’t use any of my experiences for this character’s story and so this was my biggest test. I sat in front of blank document and just wrote whatever came into my head. I find rather than having an image of the character in my head, as in appearance, I write best when I know what their personality is. So I fleshed out the personality and the ways they would react in certain situations. I was so surprised at how enjoyable it was making a character ‘out of thin air’, which is what it felt like. When I read through the book for the final time, it was so strange. I found myself thinking ‘wow, I actually wrote that’. It feels as though I have unlocked something within me with this book and I have so many ideas circulating for my next book. 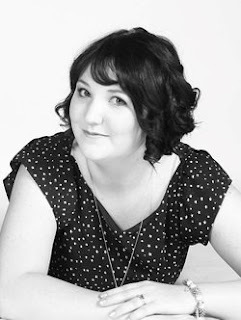 Thank you so much Abbie for sharing your musings with us and Happy Publication Day - The Puppet Master is out now! Adam knows exactly who Billie is and is determined to expose her and get justice for the lives she ruined. But first, he needs to convince her to open up to him but as unwanted attraction and feelings blossom between them, Adam is forced to realise that all is not as it seems. Most of their lives have been unknowingly governed by the desires and needs of someone who considers himself their master. He has influenced and shaped them for years, meticulously weaving a web of lies and control around them. Can Billie and Adam survive the betrayals in store and cut the strings that bind them? I was born in the Lake District and have moved all around the UK since then. I currently live with my husband in the West Midlands. I studied English Literature at University but it took four years after I finished University to realise how much I loved writing. I started a book reviewing blog last year and the encouraging responses I got to my reviews encouraged me to try writing this book. 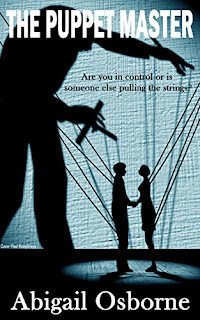 The Puppet Master is my first novel but I'm hoping it won't be my last.